The General Data Protection Regulation came into force on 25 May 2018. 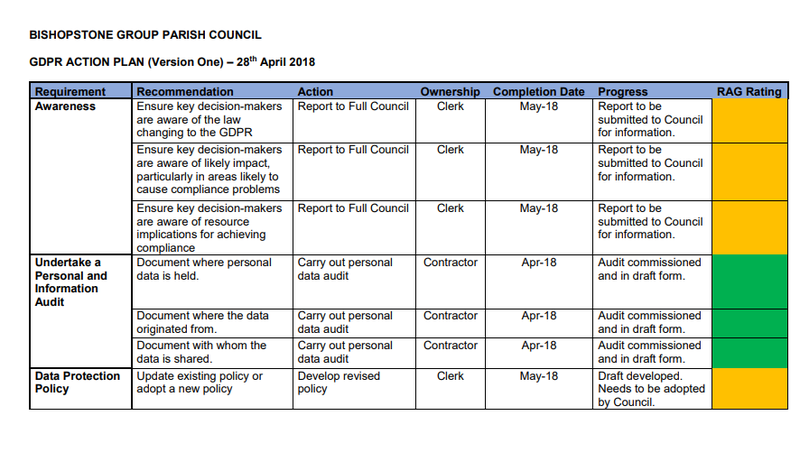 To comply with GDPR, the parish council is undertaking various tasks, both now and in the next few months. 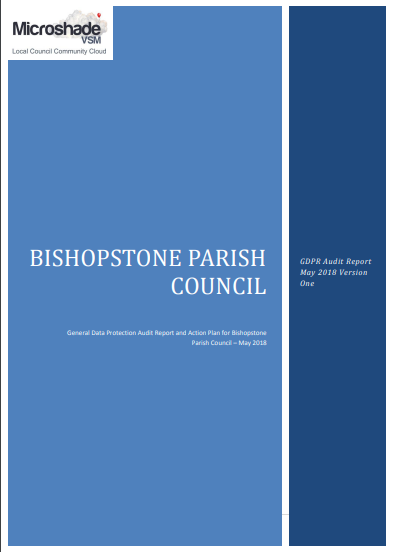 The GDPR Audit Report and Action Plan May 2018 (see below) has been compiled by Microshade Business Consultants Ltd and has been adopted by the Parish Council. Our Data Protection policies and documents will be updated and adopted as and when required.